Roy Hodgson is happy for England’s players to decide whether or not they bring their WAGs to Brazil. The presence of players’ wives and girlfriends, or WAGS as they are more commonly known, being around the England team during major tournaments has been an issue for some time now. England’s World Cup campaign in Germany eight years ago was overshadowed somewhat by the presence of the likes of Victoria Beckham and Coleen Rooney, among others. Fabio Capello had a notoriously hard-line policy when it came to discipline, but his successor is far more relaxed on the issue. Hodgson will, therefore, allow partners to visit their loved ones towards the end of England’s training camp in Miami, and he has not ruled out the possibility of them coming to the World Cup either. “In Miami we have suggested to the players that the wives could come for the latter part of the stay there,” the England manager said. “When it comes to Brazil, we haven’t made any hard and fast rules. The topic of whether the WAGs should be allowed time with their partners in Brazil will be discussed on Sunday when the squad meet in Watford ahead of next week’s friendly against Denmark. Another topic Hodgson is keen to discuss is security and his plans for the team when they land in South America. Hodgson spent a week in Brazil and Miami recently to familiarise himself with the places where England will visit in the summer. “There are issues (to discuss). There are no doubts about that,” Hodgson added. “I think it’s important that the players understand what issues there are likely to be in terms of security, in terms of their wives coming. 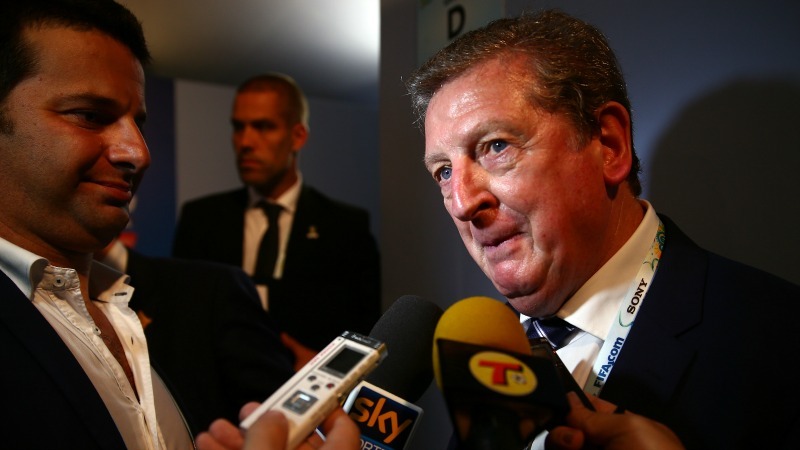 Hodgson hopes the group discussion will help prepare the players for what lies in store for them during the tournament. “It will be a 25-30 minute talk,” the 66-year-old said. “We will be encapsulating all of those things.